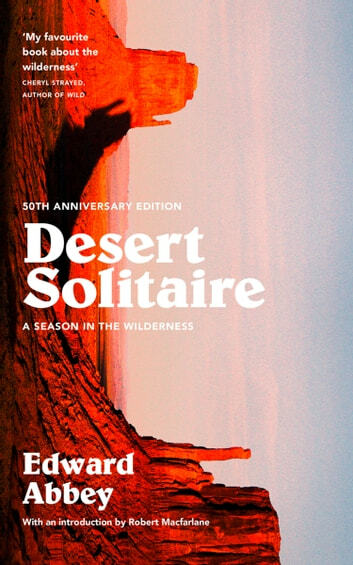 ‘My favourite book about the wilderness’ Cheryl Strayed, author of Wild In this shimmering masterpiece of American nature writing, Edward Abbey ventures alone into the canyonlands of Moab, Utah, to work as a seasonal ranger for the United States National Park Service. Living out of a trailer, Abbey captures in rapt, poetic prose the landscape of the desert; a world of terracotta earth, empty skies, arching rock formations, cliffrose, juniper, pinyon pine and sand sage. His summers become spirit quests, taking him in search of wild horses and Ancient Puebloan petroglyphs, up mountains and across tribal lands, and down the Glen Canyon by river. He experiences both sides of his new home; its incredible beauty and its promise of liberation, but also its isolating, cruel side, at one point discovering a dead tourist at an isolated area of the Grand Canyon. In his own irascible style, Abbey uses his time in the desert to meditate on the tension between nature and civilisation, and outlines a personal philosophy that would come to heavily influence the environmentalist movement. Now published in a special edition to celebrate its 50th Anniversary, this classic seems remarkably prescient, and has lost none of its power.